Each of these sentences is pretty much interchangeable. 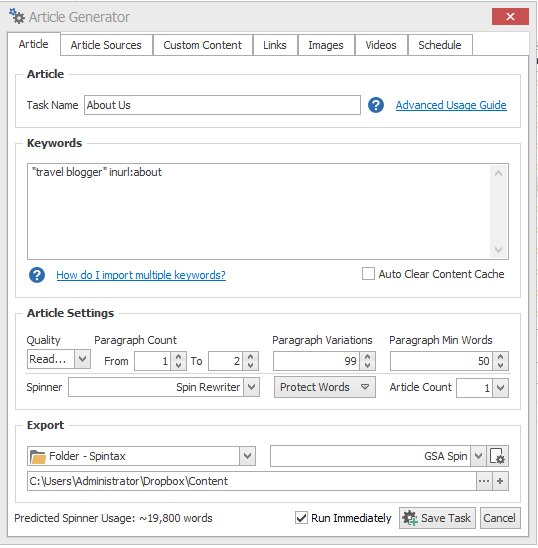 And that's exactly what content spinners like Seo Content Machine (SCM) and Kontent Machine do - mash together multiple articles by mixing sentences from each. Save and process, then repeat for your terms and conditions and privacy page. You should now have 3 superspun articles for your boilerplate content - now lets import it to your network! Ta-da ! All of the blogs in your network now have an About, Terms and Privacy page. The content isn't award winning but should still be just about readable. And most T&Cs read like they've been spun anyway.